Exfoliating your skin never smelled so good! 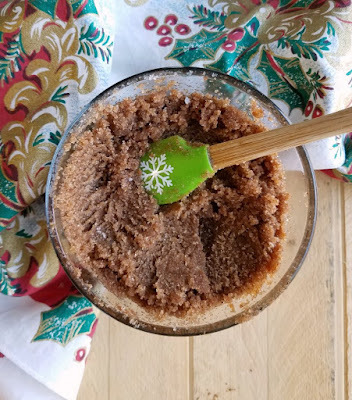 This DIY sugar scrub recipe is easy to make and is a perfect homemade gift too! 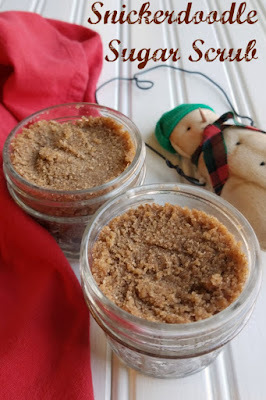 Make this delicious smelling snickerdoodle sugar scrub in bulk, you'll be glad you did. Put some in small jars for teacher gifts, neighbor gifts or small favors at your Christmas party. It will leave you wuth silky soft skin and an amazing aroma. Winter weather rolled in early this year. With it came dry air and dry skin. I feel like between doing dishes, constantly washing my hands for food prep or work and giving baths, my skin suffers year round. But just give me a couple of days of winter weather and it's even worse than normal. So it is nice to have products that help get rid of the dry skin while moisturizing. I am also frugal at heart, so I don't like to spend a ton of money on those products. Luckily I don't have to because sugar scrubs are a great way to whip your skin into shape. They gently exfoliate and moisturize at the same time. Plus you can make them with ingredients you likely already have in your pantry! That's right, you probably already have everything you need! The best part of all is you can pronounce every single ingredient. There's no worry about whether something is good for you or if it's one of those taboo ingredients. Not to mention, it's edible. Not that you should necessarily eat it by the spoonful... but you certainly could. That makes it great as a lip exfoliation as well! This time of year the number of people we'd like to give a little gift to is long, but our holiday budget is not unlimited. So making fun little gifts like these allows us to spread the Christmas joy a little further. Most of these ingredients are on sale right now for holiday baking, so be sure to load up. 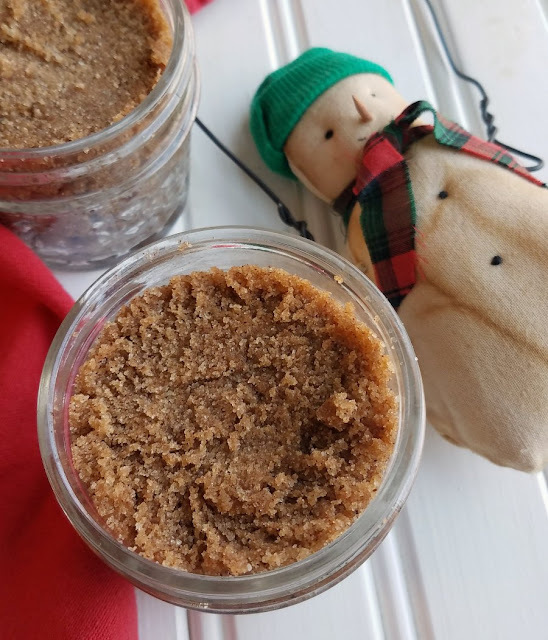 You can make a jar of sugar scrub for everyone on your list. In addition to smelling wonderful and leaving the recipient extra soft and smooth, they will know you thought of them. And after all, that is the most important part. Homemade gifts are a little extra special for that reason. 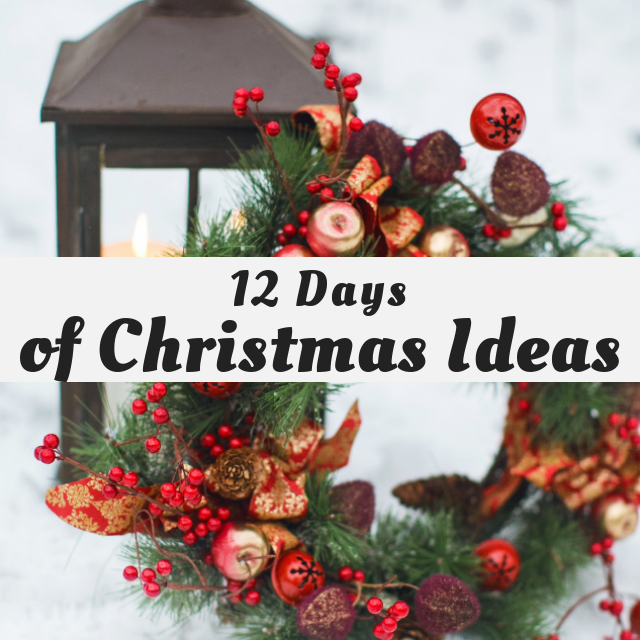 So I can't wait to see what homemade gifts my blogger friends are making and sharing. It's not to late to get you holiday gift making on! What are your favorite gifts to make? 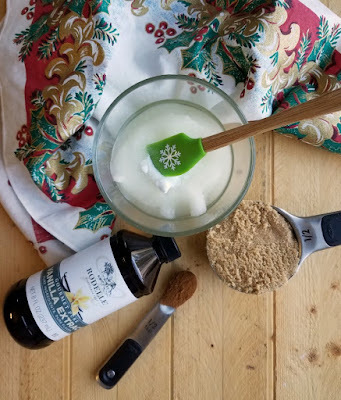 In a mixing bowl, stir all ingredients into melted coconut oil. Spoon into 4 ounce jars for gifting. Apply lid and Voila! To use: take a small amount on your finger tips and rub over dry skin. Rinse with water and enjoy your silky smooth skin. It smells so good, it's hard to keep yourself from sneaking a taste ;-) Thank you! What a great idea! 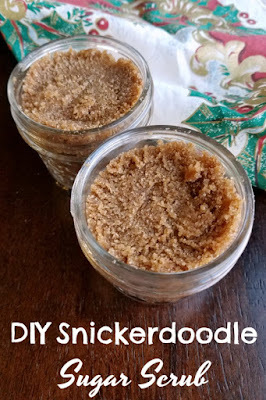 I was thinking of posting a ginger scrub (since it involves food, lol) but now I wonder if my idea is passe - i mean snickerdoodle scrub!! Wow! It's so simple and fun! What a wonderful gift idea! Thanks for joining us at the To Grandma's house we go link party, see you next week!